The Priceline Rewards Visa Signature Card is now offering 10,000 bonus points after your first purchase, which is redeemable for a $100 statement credit toward any purchases of $25 or more that posted on your card in the last 120 days. You’ll also earn 5X points on eligible Priceline.com purchases, and you’ll get 10% points back when you redeem points for statement credits toward eligible Priceline.com or travel purchases of $25 or more made in the last 120 days. The Priceline Rewards Visa Card from Priceline.com and Barclaycard allows you to earn points on all of your purchases that can be redeemed just like cash for purchases on your credit card. There is no annual fee for this Priceline travel rewards credit card account. If you book Priceline.com Travel Deals on a regular basis, then the Priceline Rewards Credit Card is a great way to maximize your savings on travel from Priceline.com. 10,000 bonus points awarded after your first card purchase – Redeemable for $100 Statement Credit. 5 points per $1 spent on all eligible Priceline.com purchases. 1 point per $1 spent on all other card purchases. Get 10% points back when you redeem points for statement credits toward eligible Priceline.com or travel purchases of $25 or more made in the last 120 days. Priceline credit card members will earn 5 points for every $1 spent on all eligible Priceline.com purchases. Eligible 5X point purchases include: Cruises (as defined by merchant category code), Name Your Own Price, Express Deals and Pay Now bookings, as well as purchases of Trip Protection products, made on Priceline.com. You’ll earn 1 point per $1 spent on every other purchase that you make with the card. You may redeem your points as a statement credit for any purchases on your account statement that are $25 or greater and posted within the last 120 days. You will earn 10% of your points back as a redemption bonus to use toward your next redemption every time you redeem for statement credits against eligible Priceline.com purchases and eligible travel-related purchases. Eligible travel-related purchases are determined by the merchant category code and include: Airlines, Hotels, Motels, Timeshares, Campgrounds, Car Rental Agencies, Cruise Lines, Travel Agencies, Tourist Attractions, Discount Travel Sites, Trains, Buses, Taxis, Limousines, and Ferries. For example, if you redeem 25,000 points for an eligible Priceline.com purchase, you will receive 2,500 points as a bonus to use toward your next redemption. Travel redemption bonus points are added to your account within 1 business day after your travel redemption is processed. 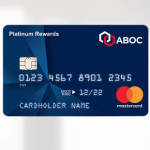 Accumulated points can be redeemed and used just like cash to pay off credit card charges, and cardmembers do not have to wait for traditional monthly billing cycles to redeem their points. As soon as a merchant posts a charge to the card, the charge and the applicable points that were earned with the purchase will appear in real-time on a continually updated statement for immediate use. In some instances, charges and points can be posted as early as the next day. Cardholders can then redeem accumulated points to pay for items on the credit card, including the item they just purchased. When you access your statement, you’ll see a summary of your accumulated rewards points. Each charge on the card of $25 or more will have a checkbox next to it that allows you to redeem accumulated points to pay for that purchase. You must have accumulated and redeemed enough points to completely cover the purchase, with no partial point payments. For example, you would need a minimum of 3,000 redeemed points to eliminate a $30 charge from your statement. If you had 3,500 total redeemed points, you would continue to have a balance of 500 points after eliminating the $30 item. Sign up for the Priceline Rewards Visa Card today to get a $100 cash bonus and more travel rewards with the Priceline.com travel rewards card. Take advantage of the Priceline travel rewards credit card to get a $100 cash bonus and free travel gifts when you open a new Priceline Rewards Visa Card account today. You may also be interested in these Expedia Rewards Credit Card Promotions for more travel booking portal credit card options. 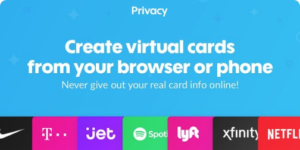 Please instruct me which web site I should use to accept my card today. Hello.I would like you send to me the form for I can apply the Priceline Rewards Visa No-Fee Card.Please mail to my house address is .